Book your hotel in Puerto Naos. Book now your apartment or hotel in Puerto Naos with the lowest market prices due to our incredible offers. Here you might check the best apartments and hotels in Puerto Naos, on the Southwest of the island of La Palma in the Canary Islands. If you wish to book, you should firstly select your trip dates and then press search. This way you might take a look at the available hotels on this period to Puerto Naos. To book or simply read more information on each hotel or apartment click on top of it. Situated in Puerto Naos, this apartment features a terrace and a garden with an outdoor pool. Apartamento Lajones features views of the pool and is 18 km from Santa Cruz de la Palma. 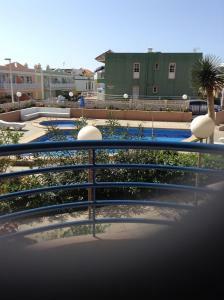 Set in Puerto Naos, Apartamentos El Faro offers accommodation with a terrace. All units include a fully equipped kitchen, allowing guests to prepare their own meals. Santa Cruz de la Palma is 30 km from the apartment. Puerto Naos Andrea Beach is set in Puerto Naos. Guests may enjoy the free WiFi. Santa Cruz de la Palma is 38 km from the apartment, while Los Llanos de Aridane is 8 km away.